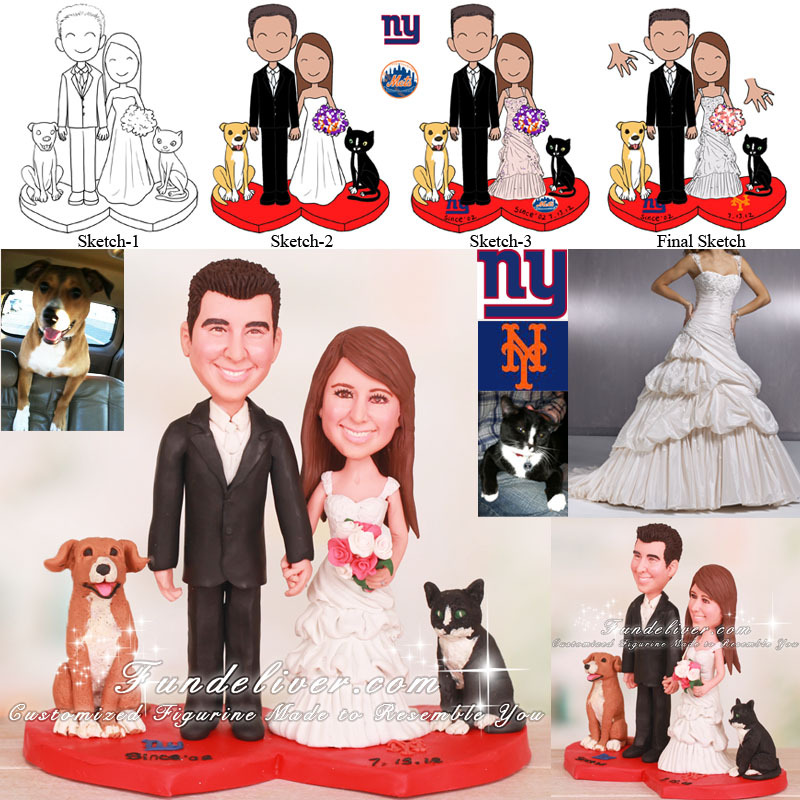 This is a completely customized Giants and Mets wedding cake topper ordered by one of our customers. They would like the groom to be wearing a black suit with a diamond white vest and tie and the bride to be in wedding dress, holding a coral and white bouquet. She is 5'1 and he is 6'1 so they would like the height difference shown. 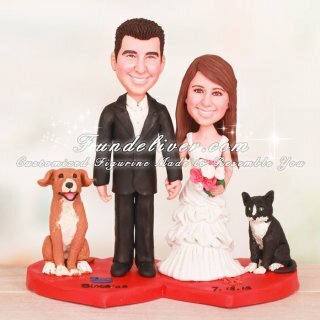 Both bride and groom figurines are holding hands, standing on a red double heart base with their dog next to him and cat next to her. Under the groom, in the middle of the heart, they would like to put a New York Giants Symbol. Under the bride they would like to put a New York Mets symbol. On the lip of the heart under the groom, they would like to write “Since '02”. On the lip of the heart under the bride, they would like to write the wedding date “7.13.12”.